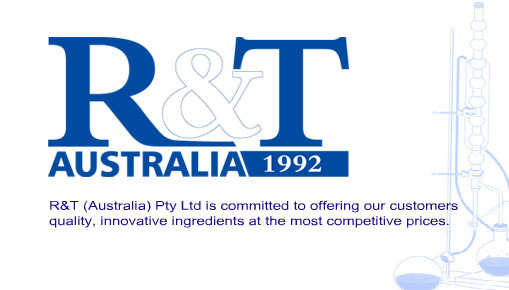 R&T ( Australia) Pty Ltd was established in 1992 supplying vitamins and fine chemicals to local contract manufacturers. Over the years we have forged partnerships with strategic manufacturers in China and elsewhere around the world. These partners were chosen for the quality of their goods and their commitment to ongoing supply. In the field of herbal extracts and other plant-derived raw materials, R&T can offer our customers products made to their unique specifications and needs. R&T ( Australia) Pty Ltd was established in 1992 supplying vitamins and fine chemicals to local contract manufacturers. Over the years we have forged partnerships with strategic manufacturers in China and elsewhere around the world.